Yep, and we will be drip-fed these photos until the next Zhuhai show. 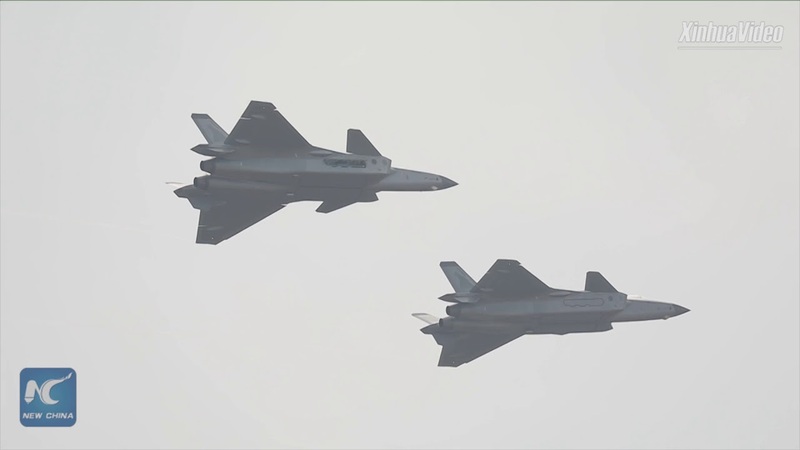 I loved seeing the J-31 at Zhuhai, and while this years J-20 is no doubt the "hero", I really loved that "roll over break" as the demo bird departed the area, I wish we could have seen something of the FC-31?? Yodello, DGBJCLAU and by78 like this. A weekend photo... Click here for the original resolution (3514 x 2343). I simply can't comprehend why people in some Taiwanese social media military enthusiast groups I frequent always say the J-20 is ugly... I mean come on! Yodello, Xsizor, newbird and 1 other person like this. Tbh always it looks a bit strange to me from some angles. It’s a very aerodynamically unstable aircraft. Those tend to not be very aesthetically pleasing. The real prettiness is in what kind of moves it can do. Performance is what matters in the end. Yodello and Xsizor like this. It’s a very aerodynamically unstable aircraft. Those tend to not be very aesthetically pleasing. That's not true. Both F-16 and F-22 are aerodynamically unstable and they look beautiful. I mostly fault the low aspect ratio delta wings. It makes the jet look elongated at many angles which is probably why it was wrongly thought to be an interceptor at first. Yodello, N00813, siegecrossbow and 1 other person like this. 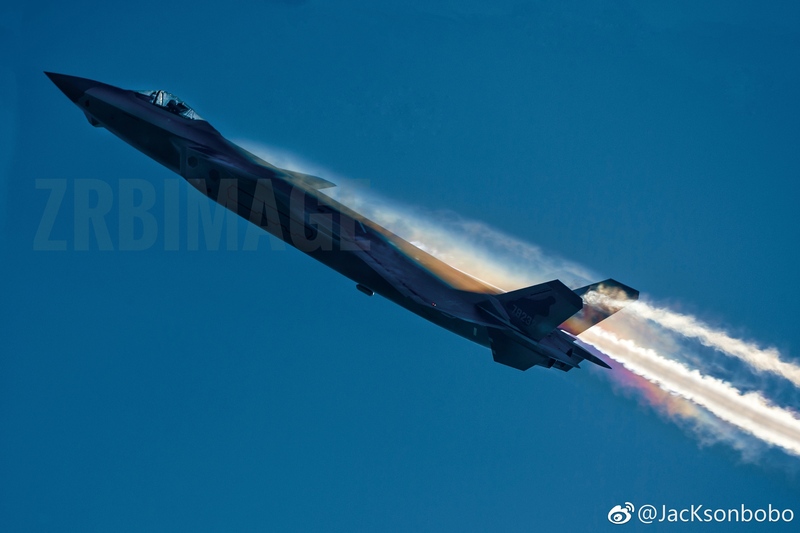 It's only really side profile that makes J-20 look aesthetically unpleasant (at least to my personal taste). The top, bottom flight views and angled ones actually look awesome. The side profile makes the plane look longer than it should look due to the position and sweep angle of the stabilisers. The plane is already about as long as a flanker and doesn't quite taper down as much as a Su-57 for example. Reason for that is the side intakes which makes the side profile a little more linear like an F-35 and the nozzles aren't like the F-22's tapering TVC petals either. A example of another aesthetically unpleasant fighter (at least from the side) is the YF-23. J-20 is significantly more unstable than either of them, it’s more towards X-28 and Su-47 level than the fairly conventional F-16 and F-22. Real Interceptors don’t exist today, since any aircraft able to intercept would also be able to perform other roles. What can be said is that J-20 is designed heavily with A2A in mind, which means it will be intercepting stuff often, and there’s also not many of them, so they will not loiter a lot. Doesn’t mean it can’t do SEAD or sling missiles at land targets, just that doing so would not be using the plane to it’s fullest compared to when it is in it’s element. Political sentiments aside, the J-20 doesn't have as many curves as the F-22 when viewed from the side and is both long and straight. This doesn't do much for some people aesthetically speaking. I'm not sure about that. It was said that the F-22 was unstable to around 25% MAC somewhere on F-16.net. I'm not sure if J-20 reached that levels of instability. DGBJCLAU and siegecrossbow like this. It's only really side profile that makes J-20 look aesthetically unpleasant (at least to my personal taste). But looked long in some other view directions. I mean in this picture the J-20 give a first impression of length (long coupled canards) and fatness (LERX delta wings). It looked better from below though. The fuselage looks more even from the bottom. Yodello and N00813 like this. It looks best head-on. Not so good on the sides or the back. It is kind of like a modern day Viggen in that regard.